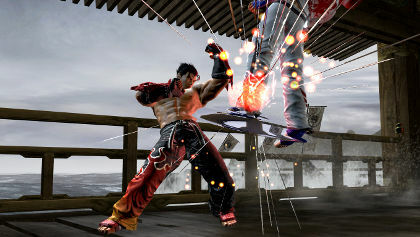 As 2009 has now been officially recognised in Chinese astrology as the year of the beat ‘em up, Namco Bandai’s Tekken 6 is most likely the last entry of the year. 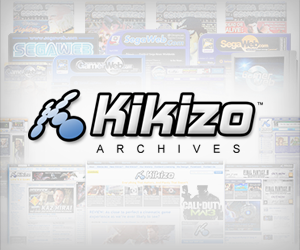 It doesn’t have the status as the long-lost grand master as Street Fighter IV did, or as the hungry challenger as was the case with BlazBlue. No, Tekken has remained relatively mainstream, even throughout the more strained years of beat ‘em up popularity, and while it doesn’t push hardware sales in the way it did in the nineties, you’d be hard pushed to find a gamer that wasn’t familiar with King, Law and Paul Phoenix. Given that arcades have all but died in the UK, this will be most gamers’ first contact with Tekken 6 so it’s only right to talk about what’s changed since the incredible PS2 conversion of Tekken 5. New characters are always the focal point of any fighting game sequel and to its credit, Tekken 6 has some very memorable new faces. Tekken 6 is still heavily reliant on juggles. Energy bars have even been extended to accommodate lengthier combos. Taking the lion’s share of attention (and space in the sofa), Bob is responsible for the new wave of obese but deceptively fast characters in fighting games and may well have had the “coolest new face” category in the bag if it weren’t for the nonchalant matador Miguel. Sporting an attitude matched only by his haircut, Miguel’s brawling antics translate wonderfully from bull ring to battle arena. Zafina is a middle-Eastern beauty that utilises a variety of unorthodox stances similar to SoulCalibur’s Voldo, while kung fu tom-boy Leo’s main claim to fame is causing endless speculation over her gender.